Price shown for 1kg pack includes VAT and delivery. Size: Between 15mm to 25mm across. These steel blanks are from 2mm to 3mm thick. 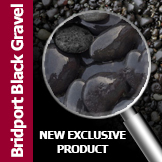 Coverage: 2kg will cover approximately 0.15sqm at single piece depth. Our best estimate is that a 2kg pack will contain in the order of 500 "coins"
Description & Application: Machined steel rounds with no sharp edges, suitable for window dressing where the appearance of coins or treasure is required. Being steel this product will rust in the presence of moisture. 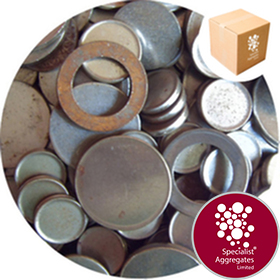 Architect Specify: Steel Blanks - Large Rounds from Specialist Aggregates.